Whilst many of us have already bid farewell to our New Year’s Resolutions of a healthier diet, there’s a little something that could get you back on track. 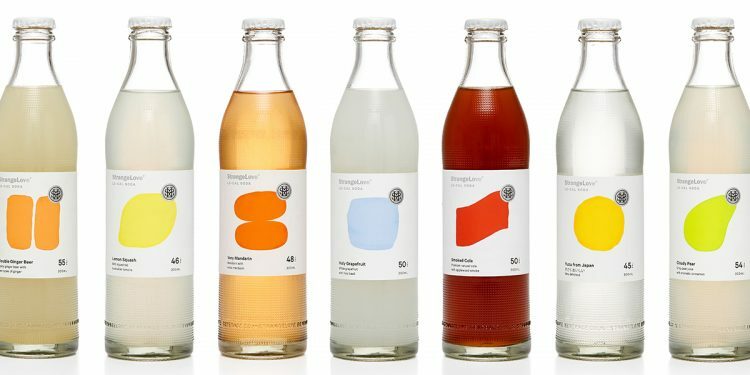 How about swapping out your sugar-filled soft drink for one of these new lo-cal sodas from Melbourne-based brand, StrangeLove? Aussies have welcomed the new brand with open arms, a thirst and curiosity in the new range of clean, light and innovative low-sugar sodas. Better yet, the exotic flavours won’t leave you disappointed or feeling flat. StrangeLove isn’t new to the beverage world – in 2018 the brand successfully launched a range of super-premium mixers including four tonic waters and a dry ginger ale, all whilst forming relationships with premium ingredient producers around the globe. “Our experience developing premium mixer products gave us a big edge here. Having developed relationships with some of the best ingredient producers around the world, we developed this project using distilled botanicals and extracts that you typically wouldn’t find in a commercial soft drink,” says James Bruce, StrangeLove Co Founder. Ok, so what can we expect? Seven exotic and flavourful tastes, jam-packed into elegant 300ml glass bottles, adorned by fresh white and watercolour splash labels. It tastes as good as it looks. Better yet, here are all seven tasty guilt-free bevvies, accompanied by their best food pairing. You’re welcome. Double Ginger – Australian ginger juice provides body, depth and a buildup of heat on the chest, whilst intense, aromatic Fijian ginger extract adds zingy, vibrant top notes and ginger spice for your tongue. Best paired with spicy South East Asian food. Yuzu from Japan – a hybrid citrus grown in cool, mountainous regions of Japan – embodies all the best parts of lemon, grapefruit and mandarin. It’s complex, nuanced, tart, sweet and refreshing. Pairs perfectly with seafood or any clean, delicate Japanese fare. Holy Grapefruit (White Grapefruit & Holy Basil) – the juice of white grapefruit with an extremely high-quality holy basil extract create a perfectly balanced, layered and unique soda. Pairs well with life in general. Cloudy Pear & Cinnamon – a classic pairing reimagined. Delicate pear juice spiced with aromatic cinnamon makes for the world’s first after-dinner soda. Pairs amazingly well with dessert or a rich blue cheese like Saint Agur. Lemon Squash – Australian lemons from Mildura provided the perfect base, while hi-spec Sicilian lemon extract and clementine oil adds complex, delicate citrus top notes and depth of flavour. Pairs with anything, it’s lemon. Smoked Cola – made from scratch with lemons, kola nut, cinnamon, clove, nutmeg and lime oil makes this different and delicate. And then it’s smoked over Applewood chips. Perfectly paired with burgers, mushrooms or BBQ brisket. Very Mandarin – a punchy, zesty soda this is an ode to a school bag favourite. Perfectly paired with Mexican food and having nothing to do. If you’re struggling to pick from the bunch, we recommend the Yuzu from Japan, Cloudy Pear and Lemon Squash. You simply can’t go wrong. Be warned though, the Smoked Cola is a curious mix, and definitely for those interested in trying something new! 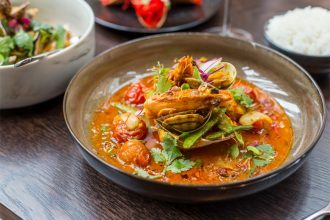 For more information visit www.strangelove.com.au.